Teddy Atlas is one of the most respected names in boxing. The former trainer had a few amateur fights but never made it to the big time as a fighter due to a back injury. So he turned his sights to coaching and oversaw the training of some huge names in the sport. Namely, Michael Moorer, whom he guided to the world heavyweight title in 1994 and Alexander Povetkin as he was set to take on Wladimir Klitschko back in 2009. Since then he is now a sportscaster, aligned with ESPN. Known for his wild statements, Atlas has gone after some huge names like Jeff Horn, from Australia, seemingly unnecessarily, but standing by his claims. But now, speaking on the Joe Rogan Experience, Teddy has successfully drawn the spotlight back to himself with sensationalist comments that Mike Tyson was never a great fighter. Perhaps the comment had something to do with the ongoing feud that Atlas has had with the Baddest Man on the Planet. Atlas had a falling out with a teenage Tyson early in his career after allegedly hearing he acted inappropriately with an 11-year-old relative. 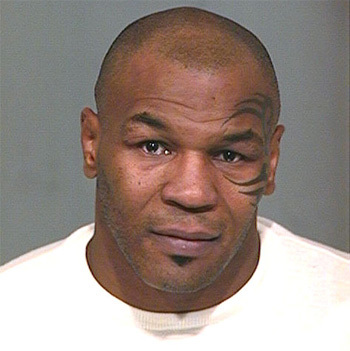 Supposedly and outrageously, Atlas put a gun to Tyson’s ear and told him to stay away from his family. Despite making up in recent years, there is speculation there is still an underlying grudge there.